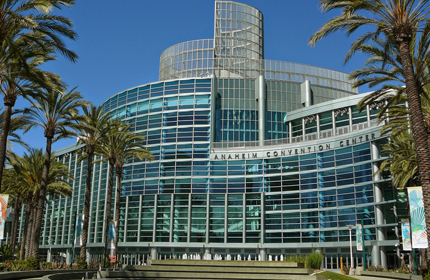 Thank you for registering for the 2019 IAHCSMM Annual Conference & Expo in beautiful Anaheim, California. With industry experts from around the world and hundreds of vendors showing the most innovative products and services for your hospital or facility, we know you will find value in not only the educational opportunities, but also the time and space offered for networking. 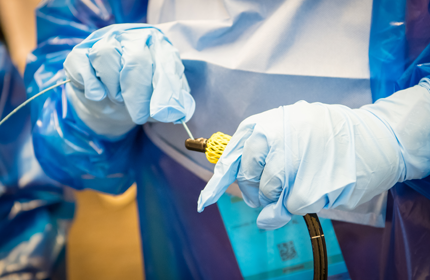 Our goal is to give you A Fresh Perspective to take home and share with your Central Service/Sterile Processing colleagues. We are so glad you are joining us! 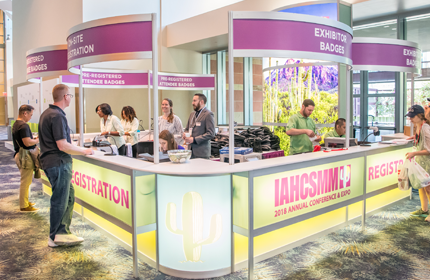 The IAHCSMM Attendee Service Center is an area available for all attendees to get answers to Conference-related questions, update their conference registration profile, learn about upcoming conference sessions/speakers, and more! We want the IAHCSMM Annual Conference & Expo to be a fun and educational experience for you. Visit the Attendee Service Center and let us know how we can help improve your Conference experience. 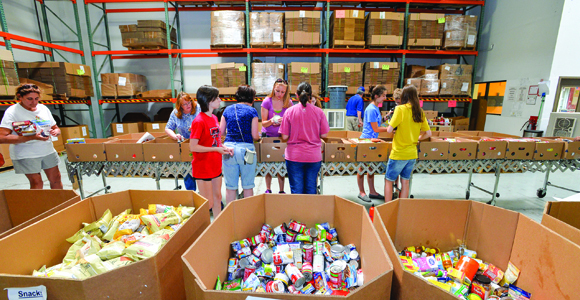 Each year, IAHCSMM Annual Conference attendees have the opportunity to make a difference in the local community where the conference takes place. It’s a chance to network with fellow CS/SP professionals, IAHCSMM members and staff, and industry experts while being an example of stewardship to the community. We invite you to visit Anaheim a day before the conference and join us for this charitable event! Click the Register to Participate button below to learn more about the organizations we’ve partnered with. *Note: if you're already registered, visit the Attendee Service Center to add this Event to your Conference Registration! Whether you’re a first time attendee or visiting us for the 20th year in a row, we want your experience to be fun, easy, and most importantly, filled with education! There are a few details that will help both new and seasoned attendees meet these goals. The attendee orientation video will outline some of the tips and tricks that will help make your conference experience as seamless as possible. The Know Before You Go handout will answer some of the common questions that attendees have before arriving at the conference grounds. New attendee or seasoned veteran- we are glad you are joining us and are happy to answer any additional questions that you have! 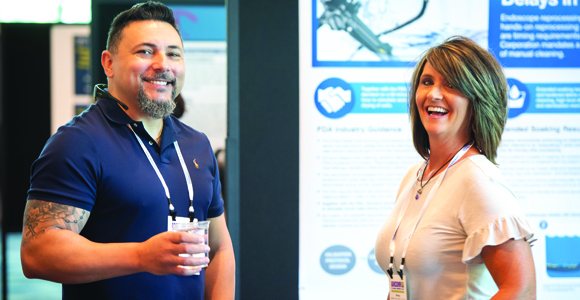 Conference handouts for the 2019 IAHCSMM Annual Conference & Expo will be available to download on the IAHCSMM website beginning April 25, 2019 through July 31, 2019. 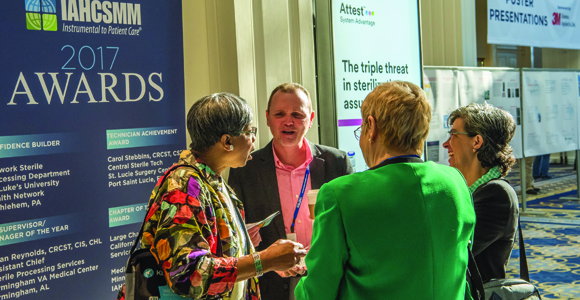 You will be learning from world-renown industry experts and have the opportunity to bring this information back to your healthcare facilities to put in practice. 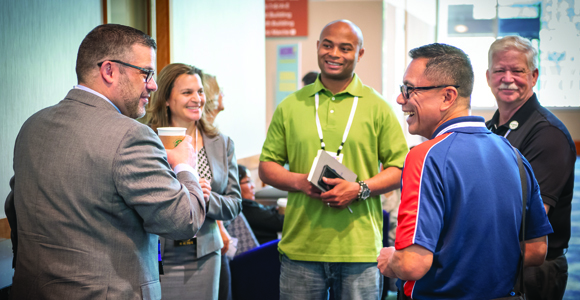 With our IAHCSMM Annual Conference & Expo App, you, the attendee, can build your conference education schedule, learn about featured speakers and industry experts leading educational seminars, and network and connect with peers through the live-feed. You will also find conference grounds maps, tools to navigate the vendor expo show floor so that you don’t miss out on the newest products and services for your healthcare facility and more! The mobile app is available to download through your mobile device’s App Store free of charge. Don’t miss a single thing this year! Download the app and stay in-the-know. *The mobile app will be available April, 2019. One of the biggest advantages of attending the IAHCSMM Annual Conference & Expo is the opportunity to attain the credits necessary for maintaining your professional certification(s). Conference certificates and transcripts are available after the conference and can be directly uploaded into your IAHCSMM account, or shared with your certifying organization. Congratulations on maintaining your professional certification. Your dedication to education and patient safety inspires us to continue to bring you the best in conference education. Register online for immediate savings through the IAHCSMM housing blocks at the Anaheim Marriott, or the Hilton. Don’t miss this opportunity to learn from world-renown industry experts on a dynamic range of educational topics. It’s time to gain A Fresh Perspective on patient safety.